Most Luxurious Train in the World! 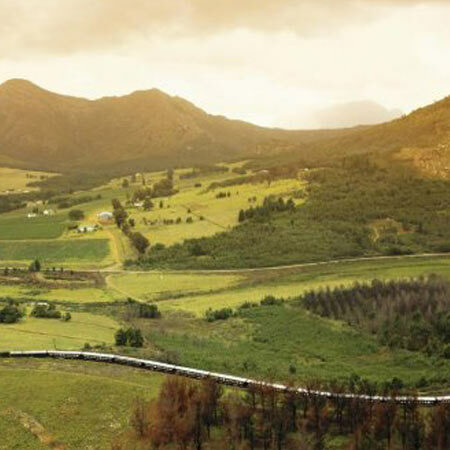 Since its establishment in 1989, Rovos Rail has earned an international reputation for its truly world class travel experiences. Step aboard the wood panelled coaches – classics remodelled and refurbished to mint condition – and enjoy fine cuisine in five-star luxury as some of the most varied scenery imaginable unfolds beyond the windows. Recapture the romance and atmosphere of a bygone era, when privileged travellers experienced the magic and mystery of Africa in a relaxed and elegant fashion. The trains – which may be hauled by steam, diesel or electric locomotives at various stages of the journey – carry a miximum of 72 passengers in 36 superbly appointed suites. Ride the popular 48 hour weekly journey! 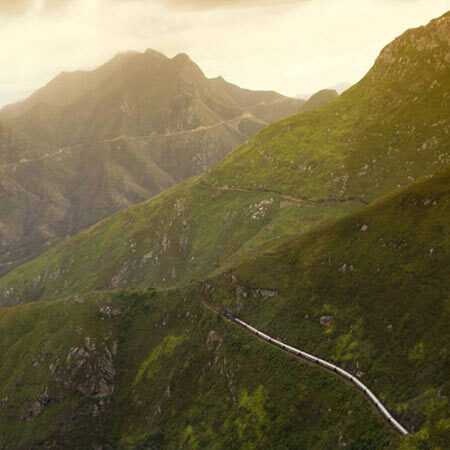 For many visitors to South Africa, there is no finer way to see the country than on the popular 48-hour weekly journeys between Pretoria and Cape Town. One of the world’s top destinations, Cape Town, offers a blend of cosmopolitan city life, mountain splendour and scenic wine lands. The twin cities of Pretoria and Johannesburg in Gauteng form the economic heartland of South Africa and the ideal departure point for the Lowveld’s world-famous game reserves. 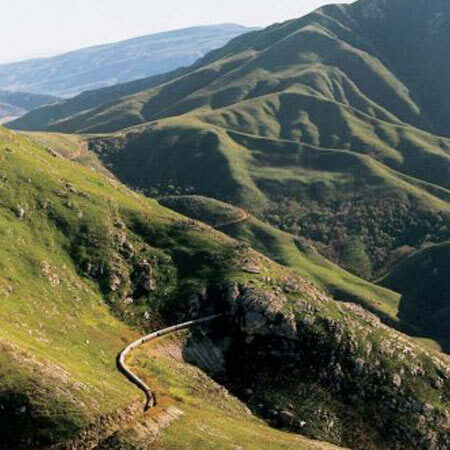 From the coast, the 1600 kilometre route follows an old pioneering trail carved out of the African bushveld, passing through the wine lands and climbing up to the interior through the Hex River Valley. Highlights of the north and southbound routes include a visit to the historic village of Matjiesfontein, a 100-year old refreshment stop in the airid Karoo, and Kimberley(city of De Beers) the diamond boom town that’s home to the Big Hole, the world’s largest man-made excavation. Experience a 1600-kilometre journey through varied and truly African scenery as Rovos Rail's luxurious train meanders westwards through Mafikeng into Botswana and then north towards Mahalapye, crossing the Tropic of Capricorn just after Gaborone. Once the train has passed through the dry reaches of Botswana we arrive at Plumtree in the late afternoon for border formalities with Zimbabwe. We continue in a north-westerly direction passing Bulawayo heading towards Thompson's Junction and Hwange Game Reserve where animals can be spotted from the train. During the afternoon we have a service stop at Thompson Junction after which your sojourn ends at the incomparable Victoria Falls on the mighty Zambezi River. 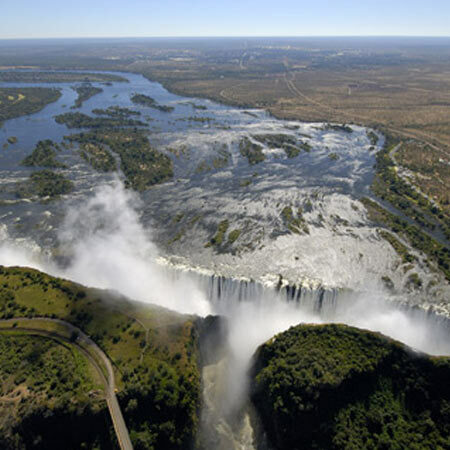 The surrounding area offers travellers many recreational opportunities including cruises, white water rafting on the Zambezi River as well as superb game viewing and photo safaris. Please note that depending upon railways capacity this journey could be routed northwards through Beitbridge and Zimbabwe. This special three-day safari between Pretoria and Durban departs during the summer months and includes game drives in two varied and unique game reserves, a battlefields tour with a world class historian and a visit to an unusual African ceramics studio. Experience the diversity of the Nambiti Conservancy, a Big Five private bush retreat set on 20 000 acres of malaria-free bushveld in KwaZulu Natal. 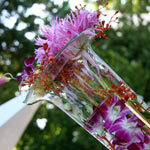 It has an incredible biodiversity including savannah, grasslands, thornveld and tall acacia trees. The Sundays River flows through the reserve and has two 40 metre waterfalls with magnificent ravine bush, home to several rare bird species. Situated on an expansive game farm, SpionKop Lodge which adjoins a 11 000 acre nature reserve, is the perfect base for exploring the berg, bush, birds and battlefields of the region. The turn of the century farmhouse has been beautifully restored in Natal colonial style and the converted barn now forms a magnificent dining room that boasts spectacular views. Ardmore Ceramic Art is a story about the Zulu people whose sense of rhythm, colour, dance and song, as well as the spirit of the African imagination, is exerting its influence on the other continents of the world. 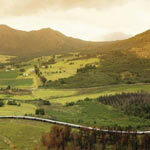 Rovos Rail has designed a delightful nine-day Golf Safari to entertain the most discerning player. 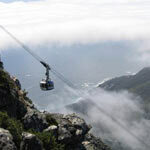 At all venues, there are optional excursions for the entertainment of non-playing guests. This special journey commences in Pretoria and travels east towards the spectacular Drakensberg escarpment en route to Nelspruit. Play at Leopard's Creek Country Club or enjoy a game drive in the world famous Kruger Park followed by lunch. 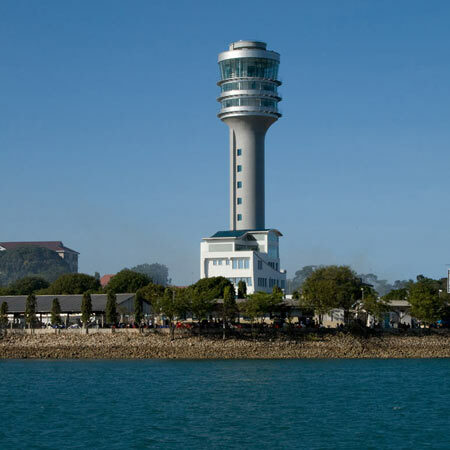 Tee off at the Royal Swazi Golf Club, near Manzini in Swaziland, while non-golfers visit the Ngwenya Glass Factory, lunch at Guava Galleries followed by a game drive in the Mkhaya Game Reserve. Then it's on to Zululand for game viewing in the Hluhluwe Game Reserve. Play one of South Africa's finest courses, the Durban Beachwood Country Club, while non-playing guests enjoy a city tour of Durban followed by lunch at the Golf Club. In the foothills of the imposing Drakensberg Mountains 18-holes await at the Champagne Sports Resort, with a guided tour of the Battlefields a further highlight for non-golfers. Relax as the train travels north towards the magnificent resort of Sun City in the Pilanesberg Mountains. A full day is spent at this world-famous facility before departing for Pretoria where this memorable journey ends. This panoramic nine-day sojourn commences at the Rovos Rail Station at Capital Park in Pretoria. The first leg of the journey takes the train through Witbank and Middleburg and then traverses the majestic Drakensberg escarpment en route to the lowveld of Mpumalanga. The following morning you will receive an early wake up call to then either tee-off at Leopard Creek Golf Course or enjoy an early morning game drive in the Kruger Park. The train will take the non golfing guests south towards Mpaka in Swaziland where they will be joined by the golfers for an afternoon game drive in the Mkhaya Reserve. During the evening the train will continue south to the village of Hluhluwe in Zululand. Starting early once again, a wide variety of game can be seen on an early morning game drive through the scenic Hluhluwe Game Reserve. The Pride of Africa departs mid morning and makes its way south through the lush cane fields of KwaZulu Natal, arriving in Empangeni after brunch where the golfers will disembark for 18 holes at the Zimbali Country Club. 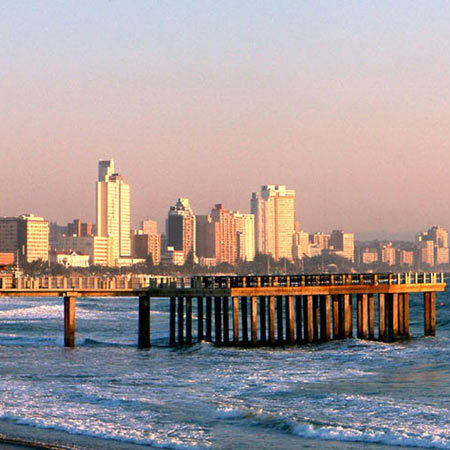 The non golfing guests continue on the train for a late afternoon arrival in Durban where they will be rejoined by the golfers for an evening in the city. An early morning tee-off at Durban Country Beachwood Club for the golfing enthusiasts is followed by a scenic drive through Pietermaritzburg and The Valley of a Thousand Hills en route to Lions River to join the train. The train meanwhile stops at Lions River for a morning visit to the famous Ardmore Ceramics Gallery. Lunch and an afternoon of leisure is enjoyed by all as the route to Bethlehem takes the train past Lesotho and the highest mountains in the Drakensberg range at 3 482 metres. During the night we continue onto Bloemfontein, the Free State capital, with a morning tour of the city planned for the non golfers while the golfers enjoy a morning game at the 115 year old Bloemfontein Golf Club. The journey continues southwards overnight to the coastal capital of the Eastern Cape, Port Elizabeth, where the non golfing guests make the most of a morning visit to the Addo Elephant Park. The golfers take on the challenge of the Humewood Golf Club links course, rejoining the train in the early afternoon. An early morning departure from Willowmore takes the Pride of Africa into Oudtshoorn for a visit to the Highgate Ostrich farm followed by another spectacular rail descent down the Montagu pass into George for an afternoon at leisure. Dinner will be savoured at the Fancourt Hotel & Golf Estate. 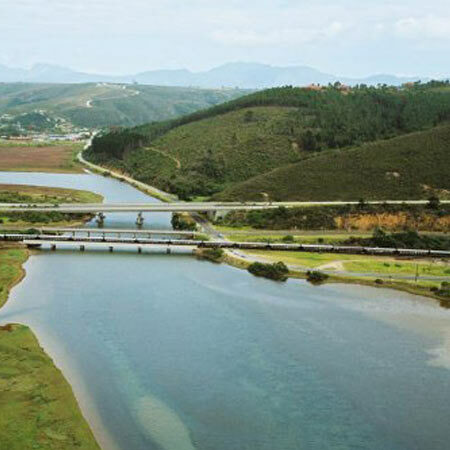 A morning visit to Knysna and the surrounding attractions will complete the visit to this natural paradise for our non golfing guests. The gofers will relish the challenge of the spectacular Simola Country Estate & Golf Course, the first Jack Nicklaus course on the Garden Route. 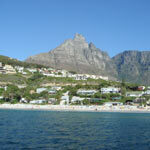 The train sets off at midday from George travelling along the scenic Garden Route through Mossel Bay and Riversdale. The next morning, after a short visit to the KWV Brandy Distillery in Worcester, the Pride of Africa ends its magnificent collage and golf expedition in the Mother City of Cape Town. 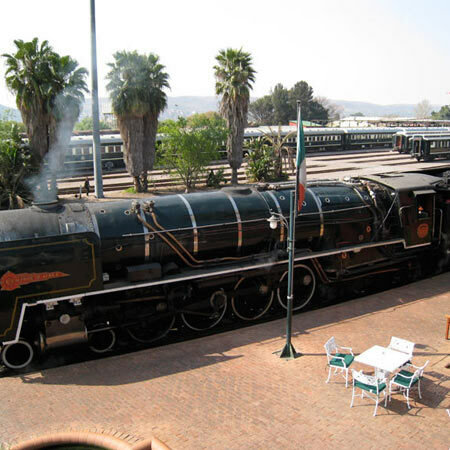 From its home at Capital Park, Pretoria, Rovos Rail invites you on a journey of discovery through some of the most historic and scenic areas of Southern Africa. For nine days and eight nights, the train will carry you in world-class style and comfort from the savannahs of the Highveld to the Atlantic Ocean, reuniting by rail the republics of South Africa and Namibia. The 3 400-km journey takes the Pride of Africa from Pretoria to Kimberley, centre of one of the world's most famous diamond rushes, where there's an opportunity to visit the Big Hole and experience the atmosphere of the 1870's. Enjoy a walking tour in Upington, the principal town of the Northern Province bound by the Orange River and the Kalahari Desert. Then it's on through the stark vistas of the arid Northern Cape into Namibia at Ariamsvlei. There is an excursion to the spectacular Fish River Canyon – second in size and splendour to the Grand Canyon. A short visit to Keetmanshoop offers another opportunity for a walking tour as we visit this small but important sheep farming town. The train continues across the Kalahari Desert to Namibia's capital city Windhoek, a lively, cosmopolitan city with a strong German flavour. A highlight of the tour is a twenty-four hour excursion to the world famous Sossusvlei, a stunning pan in the Namib Desert surrounded by massive red sand dunes. After an overnight stay at Sossusvlei rejoin the train in Windhoek where the journey continues overnight to Tsumeb and the game rich Etosha National Park. A night is spent in the Mokuti Game Lodge on the eastern edge of the Park and the journey then continues on to Swakopmund, a perfectly preserved 19th-Century German Hansa town set between the dunes of the Namib desert and the roaring Atlantic Ocean. This is an unforgettable end to a remarkable journey. In July every year, this epic 14-day journey travels through South Africa, Zimbabwe, Zambia and Tanzania and is one of the most famous train journeys in the world. This magnificent sojourn will take you through South Africa with short tours of the diamond town of Kimberley and the capital city of Pretoria, then a two night stay at a private lodge in the Madikwe Game Reserve. The train then crosses through Botswana into Zimbabwe where we overnight at the Victoria Falls Hotel. After crossing the mighty Zambezi River, travel northeast through Zambia, joining the Tazara Railway line at Kapiri Mposhe. Enjoy a bush walk at Chisimba Falls then continue the climb towards the Zambian/Tanzanian border, almost the midpoint between Africa's two Great Rift Valley lakes. Descend into the Rift Valley itself and witness spectacular scenery as the train negotiates the tunnels, switchbacks and viaducts of the escarpment. Early on the last day, the train passes through the Selous Game Reserve - the largest on the continent and a vision of timeless Africa - shortly before the bustling arrival in Dar es Salaam.